Right, ladies and gents, this is a very, very basic tutorial on how I use EZCap, the supplied software that comes with QHY’s 8L camera. A few of you are starting to use this camera, and the supplied software might be the first exposure that you have to the wonderful world f cooled CCD cameras (it was for me!). EZCap comes with no instructions or help file, and although it is pretty straightforward once you get your head around it, it can be a bit intimidating. I thought of scribbling this down as I have been using the camera for a while now, and have learned a few tips and tricks which you might want to use. It is not intended to be a “master class” nor am I the font of all knowledge. Rather this is how I use the software. Oh, and I am NOT doing a video…I wouldn’t inflict my ugly mug on all you good people! There are some other bits of software that you might want to get, including Deep Sky Stacker (for stacking the resulting images) and FITS Liberator (a freebie download, which allows you to view the .FITS files that the camera produces). First things first, connect your camera up. You must use the correct sequence as you can damage the electronics in the camera if you don’t follow this. Connect the USB lead to the camera and connect it to the PC. Then connect the 9 pin DIN lead to the camera. This lead has a ferrite core (a black cylinder) at one end. This end plugs into the DC-201 control unit. Finally, plug in the 12v cable to the DC-201. When powering down the camera, you should use the same sequence in reverse. Now start up EZCap. 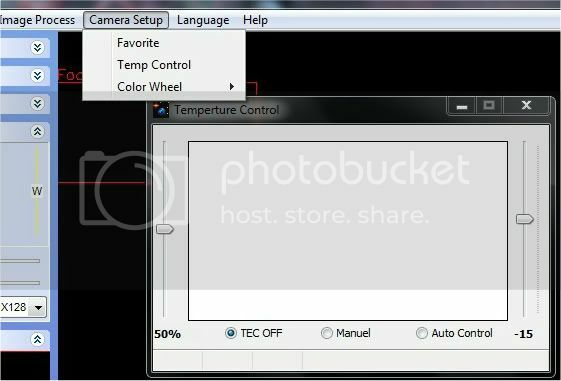 Go to the Camera area of the file menu and select QHY8L. The next thing I do is to open the Temp. Control section (under Camera Setup) and switch the TEC (the camera cooler off). I do this as it tends to start cooling the camera too soon, which can lead to overcooling the sensor. This (and other astro cameras) use a device called a Peltier device to provide Thermo Electric Cooling (TEC). This clever bit of kit is a sandwich of material, that when connected to a suitable electric current draws heat from one side and pushes it to the other side. This is then used to cool the imaging sensor. The colder the sensor, then the less electronic noise that it generates. This is a Good Thing in imaging. The cooling system on the QHY8L is known as Setpoint Cooling, which means that you set the level of cooling and the electronics maintains the sensor at that temperature. The QHY8L can cool the sensor down to about 35 degrees below ambient. When selecting a temperature, chose one that allows you to always achieve it. I personally use -25, but I have had the sensor as low as -45. Being able to set the cooling means that you can also create a “bank” of dark files. If you have imaged with a DSLR, then you will know that you must take the darks at the same temperature as the light files. This is a pain, as the temperature drops during the night, and you lose imaging time taking darks. With Setpoint cooling, you can fire the camera up at any time of the day or night, and create a library of darks of commonly used exposure length. These same darks can be used over and over again. Having said that, these cameras really are noise-free. I can get good results with mine without using any darks easily up to 300 second exposures. Right, back to the tutorial. The cooling system on the QHY camera can take a little time to stabilise, which is why I turn it off until I am ready for it. You can see here that I have set it at 0 degrees, but the system has overshot the mark to about -8, then overcompensated to +4. It will settle down, it just takes a few minutes to do so. The manual that comes with the camera (written in best Chinglish) recommends cooling in stages to prevent thermal shock to the big sensor. The same when you are wrapping up for the night….reduce the cooling in stages. Always allow the temperature to stabilise on your requested setting before starting imaging, otherwise the temperature that the lights are taken at might vary, which would mean that your darks will over or under compensate for sensor noise. The cooling system allows you to have no cooling (TEC Off), to manually control the cooling (the miss-spelled “Manuel” setting) or to allow the system to control the cooling (Auto Control). If you go for Manual, then you can set the amount of power going to the Peltier by using the slider on the left hand side of the cooler window. Selecting Auto Control, you just use the slider on the right hand side to set the desired level of cooling and the system does everything else. Another thing that I have noticed, is that the system needs to stabilise on a temperature before starting to take lights. If you start taking lights when the cooling system is driving the temperatures down, then it seems to drastically overshoot the mark. This is another good reason for taking a little time to allow the cooler to settle and stabilise on the required temperature first. Cold things cause condensation. Really cold things can freeze. The sensor chamber on these cameras can be dried using a supplied dessicant tube. However, if there is a tiny bit of moisture in the chamber, this can cause ice to form on the sensor surface. This is not good, as you will get horrible gradients in your images. 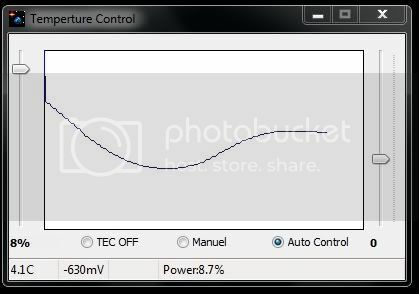 A tip I use, is to set the temperature at 0 degrees, and then go to the Preview window in the software, set the exposure at 1MS and then hit Live. This runs the sensor hard, which warms it up. 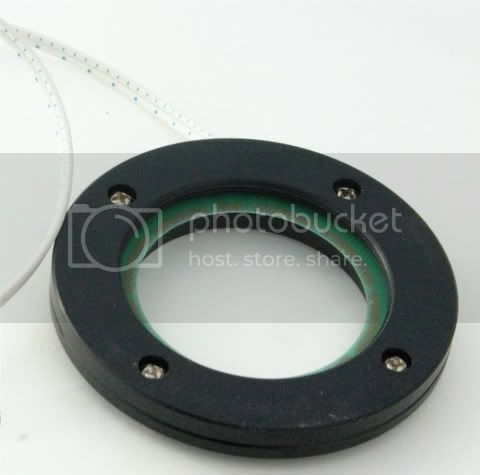 Any moisture that might be in the sensor chamber will then condense on the Peltier cold finger, not the sensor. I’ll let this run for 4-5 minutes, then set the cooling at -10, run Preview again, then -20, the -25 (my desired setting). This means that I have no ice forming on the sensor at all. 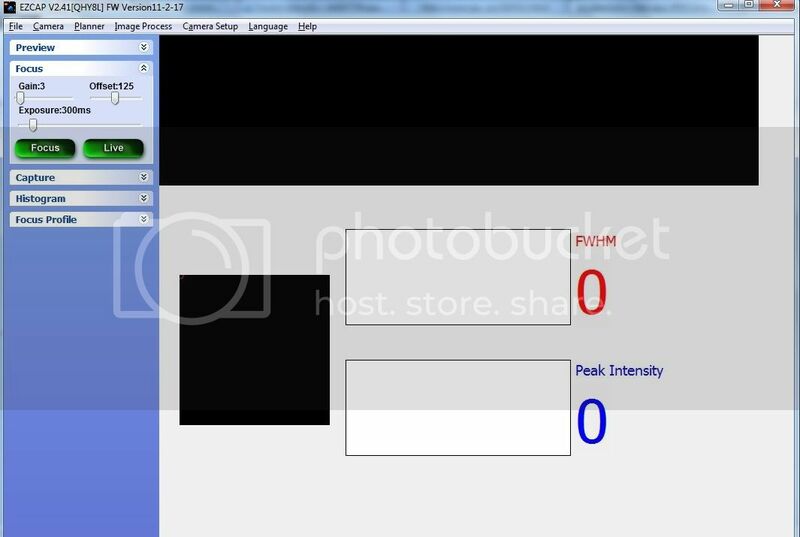 This has an added benefit as the Live setting displays a constantly updated view of what the camera is seeing, which allows me to get the mount aligned and my subject framed. On very humid nights, especially if you are using a filter wheel, you might get condensation on the chamber window. QHY increased the chamber window thickness to 3mm to help prevent this, but in very humid conditions you still might get dewing. I wrap a 2” EP dewstrip around the extension tubes that separate my camera from the field flattener and give it a tiny bit of heat to prevent dewing. I believe that QHY also offer a small window heater which does the same job. EZCap contains a full FWHM focusing tool, which allows you to get you focusing spot on. FWHM stands for Full Width at Half Maximum. This is the width of the star image at half the peak value of the star, a common measure of focus, seeing, and resolution. Ideally the minimum value is achieved for best focus. Once your camera is at the correct temperature, slew to a star. In the Preview tab (on the left-hand side of the application) click on Preview. This will expose an image and download it into the EZCap application. Then click on a star that you are going to use for focusing. EZCap will place a red box around that star. Now click on the Focusing tab. 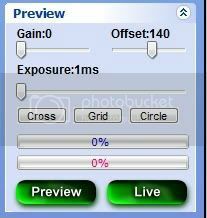 Click the Live button, which will then show a real time zoomed view of the area that you selected earlier. This will show you the selected star at the top of the window, and the FWHM reading at the bottom. Simply put, a smaller FWHM number means tighter focus. Tweak your telescopes focuser to get this value as small as you can get it. Don’t use the brightest star in the sky (about 2nd or 3rd magnitude), and aim to get the FWHM figure into single figures. Once you have done this, then you know that your focus is as good as it can be.